For decades researchers have been using the famous Alexa Fluor® dyes developed by Molecular Probes for everything from flow cytometry to oligonucleotide labeling. These sulfonated forms of common fluorophores (coumarin, rhodamine, fluorescein, and cyanine) are thought to be more stable, brighter, and less pH-sensitive than the native molecules (Ref: Panchuk-Voloshina et al. 1999). 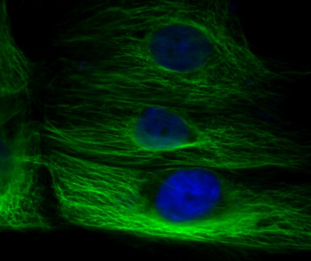 Antibody users are likely most familiar with Alexa Fluor® 488 and Alexa Fluor® 594 which when used together allow for the simultaneous staining of one protein in green and another in red and can be used in combination with the blue nuclear dye DAPI. The original Molecular Probes patents have likely limited the number of companies offering less expensive alternatives to the Alexa Fluor® dyes. 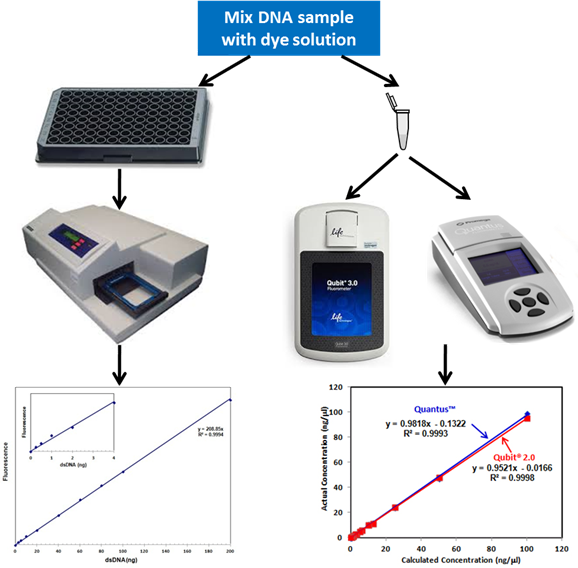 Innovative dyes as DyLight® have been developed and are used for specific applications, but direct alternatives for the standard Alexa Fluor® exitation and emission spectra dyes have been difficult/impossible to find…..until now. For oligonucleotide labeling by Nick translation, Random primer labeling, End-labeling with terminal deoxynucleotidyl transferase, Reverse transcription or PCR amplification Andy Fluor™ dNTPs are a nice low cost alternative to products such as ChromaTide® Alexa Fluor® 488-5-dUTP. 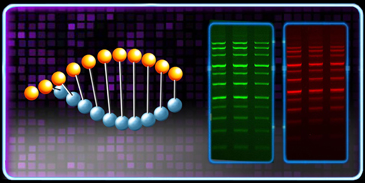 Originally developed by Applied BioProbes, the Andy Fluor™ dye labeled nucleotides are a small part of the rapidly growing fluorescence-based molecular biology offer from GeneCopoeia, Inc. Just as Alexa Fluor® has been the market leader for covalent fluorescent labeling of antibodies and oligonucleotides, SYBR® Green I, also produced by Molecular Probes, has historically been the leading dye for qPCR and “safe” agarose gel staining. GeneCopoeia has recently released their own: GreenView, GreenView Plus, and RedView agarose gel dyes. GreenView Plus and RedView fail to penetrate cell membranes to bind DNA in living cells. Legal notes: Alexa Fluor®, SYBR®, Qubit® and ChromaTide® are registered trademarks of Life Technologies Corporation. DyLight® and NanoDrop® are registered trademarks of Thermo Fisher Scientific. Andy Fluor™ is a trademark of Applied Bioprobes. Quantus™ is a trademark of Promega.